Leon Camier has spoken of the ‘amazing’ chance he has to line-up against the likes of boyhood hero Valentino Rossi and current MotoGP world champion Marc Marquez in 2014. The former British Superbike champion appeared on an updated MotoGP entry list yesterday and he will ride an Aprilia ART machine for the Italian-based Ioda Racing squad. Speaking to MCN from his Andorra home, Kent star Camier said he was excited about lining up against nine-times world champion Rossi and Repsol Honda sensation Marquez. Camier will partner Italian Danilo Petrucci this season, though he is still not sure whether he will attend the first winter test of 2014 at the Sepang circuit in Malaysia early next month. Camier clinched the Ioda deal after a deal to remain with the Crescent Suzuki squad in World Superbikes for a third successive collapsed at the last minute. He was signed for Aprilia’s WSB team in 2010 by legendary Italian race boss Giampiero Sacchi, who now runs the Ioda Racing project. 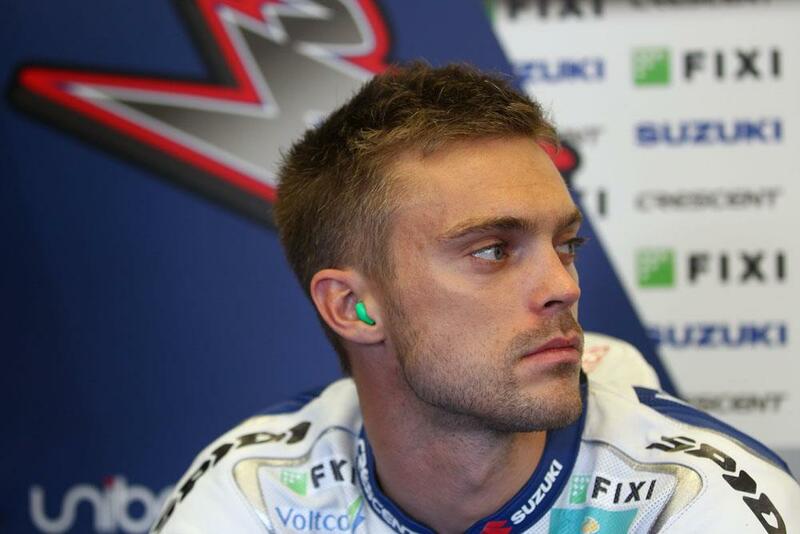 Camier will ride an Aprilia ART machine in 2014, but he is unclear what level of development the Noale factory will put in following a split with the Aspar squad at the end of 2013. Spaniard Aleix Espargaro was a regular giant-killer on the ART machine and was regularly challenging the factory prototypes. Camier will at least have a few friendly faces to call upon in the paddock this season, with Monster Yamaha Tech 3 rider Bradley Smith and new PBM rider Broc Parkes all Andorra residents. Camier’s MotoGP deal means he is the fifth British rider confirmed on the 2014 premier class grid and the ninth in total competing across the three world championship classes. For more from Camier on his 2014 MotoGP deal, see the January 22 issue of Motor Cycle News.